Casey van Reyk is currently studying at The Centre for Sustainability Leadership. She is a passionate environmentalist, an animal lover, and a long-time vegan. She currently works in the music industry but is looking to find a job within the realm of sustainability. She is a guest blogger for Michael Mobbs’ Sustainable House. We started out with the goal to obtain a discount on solar systems by buying in bulk. Our aim was to have 30 households sign up with the one supplier to achieve a negotiated 15-20% discount on all components and installation of a solar system. The project began with a meeting at Michael’s house that involved a presentation, much discussion, and a few bottles of wine. From there we created a survey as a means of signing people onto the group buying project, we then used Michael’s website and social media to share that survey, encouraging everyone and anyone to fill it out and get in touch. In the beginning Australia Wide Solar was the likely supplier for the project, but it was decided to source quotes from a range of additional suppliers so that we could compare companies and ensure we were doing the right research, and getting the best discount, products and service for the group. It’s important to note here that Michael and I were not getting paid to run this project. If the goal of 30 households was reached, the suppliers agreed to pay us $1000 (to share between Michael and I) for our time and effort, and Michael joked we would spend this on a long lunch anyway. Michael had started the project before I joined on; I was at the presentation night at Michael’s house and emailed him the next day offering to volunteer on the project. He was delighted as lots of people were interested in joining the group so there was quite a bit of admin and communications to handle. I really don’t think that, in the beginning, either of us really knew that we would be working on this for the next 3 months, and we certainly didn’t realize what a huge task we had on our hands! So numbers of people interested kept increasing for the first month or so, and we ended up reaching a total of 71. In this time we had started group emails and individual communication, and we began looking at information we had received from the survey, to see which households were suitable for solar, what kind of systems people wanted, and what questions and comments needed to be addressed. We were also researching suppliers, and while Australia Wide Solar was the 1st company to provide a quote, we then obtained quotes from 3 additional suppliers; Sungevity, SunEdison [now bankrupt], and Off-Grid Energy. Once we obtained all 4 quotes, we had to spend time comparing the quotes and companies. We looked at prices, discounts offered, products used, and from a company perspective we looked at experience, knowledge and customer service. Michael and I spent a lot of time comparing quotes but we came to the decision to use Off-Grid Energy as the supplier. While some options were cheaper with the other suppliers, we wanted to focus on overall quality and not just choose the cheapest, so we chose Off-Grid Energy for their extensive knowledge, the discounts they offered, their use of Australian made solar panels and their customer service. The other 3 suppliers are also very credible companies in my opinion based on the research we did, but Off-Grid Energy were particularly suited to this project because of their experience with batteries and off grid solutions. The purpose of quoting 4 different system options was to give as many people as possible a price range, as a guideline to how much their site-specific designs would cost and how much they were saving with the group discount. The idea was that this would be a base quote that would reflect pricing, but each individual house would have a site-specific design and quote with a 15-20% discount, if the goal of 30 households was reached. This meant the price would not be 100% certain for people before they committed to the group by paying a $500 deposit. This played a huge part in it proving difficult to sign people up when it came to crunch time, and it was one of the biggest challenges of a project like this. 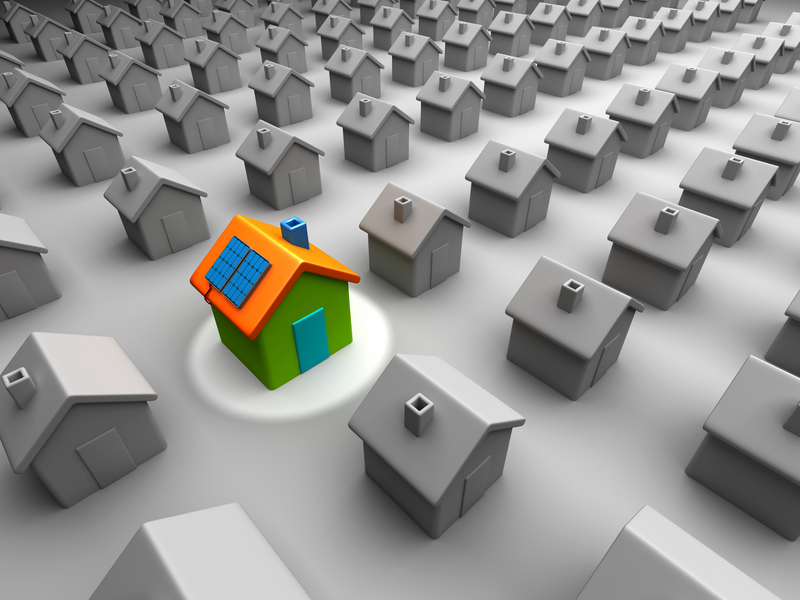 As solar systems are required to be designed for a specific site, it is difficult for a supplier to provide a quote for a large group of people, as they ultimately need different quotes for each individual household. This is why we had 4 different options in the quote, to provide a price guideline rather than a final price. But there is no way the supplier could have provided individual quotes for everyone before signing them on to the group purchase, as this would cost the supplier in time and resources with no guarantee of those individuals becoming customers. The deposit also gave the supplier financial security for ordering the products required to fit the various systems. The next step was to confirm terms and conditions with Off-Grid Energy and then once we reached agreement, we shared information about Off-Grid Energy’s pricing, products and discount with members of the group. From here the numbers began to drop from 71 as we got closer to crunch time, but communications with individuals from the group still interested continued and proved to be quite challenging as I could not answer everyone’s questions about solar. At this point we enlisted Damien Griffith, who is the NSW Manager for Off-Grid Energy, to help with communications to the group. Damien was the representative from Off-Grid who I spoke to from day 1. He organized the quote and is the sole person from the company that we dealt with. He shared so much knowledge with me and gave up hours of time talking with members of the group. After Damien had started talking with people in the groups about their individual concerns, we decided to set the deadline for joining the buying group at August 14th. We had given people as much encouragement and information as we could and it was time to get people confirmed so that, if the goal of 30 was reached, we could move to the next stage. Once we knew the goal of 30 had not been reached, Off-Grid Energy kindly offered the people who had signed on and paid deposits an alternative 12.5% discount. At this stage I don’t know how many people are going ahead, but I do hope Off-Grid Energy gained a few customers out of this as they sure did put in a lot of effort! It’s been an interesting few months and I sure learnt a thing or two about solar energy! I volunteered on this project to gain work experience with Michael, so if anyone came out a winner, luckily, it was I.